Listening Time: 16 hrs. 40 min. Michael Lesley was the narrator for 'A Destiny of Dragons' and while I was totally enchanted with his narration in 'The Lightening Struck Heart' (TLSH) the first book in this series...I'm pretty much convinced that with the second book Mr. Lesley has exceeded my expectations. While I would have loved being able to listen to 'TLSH' again before jumping into the second book time just didn't permit that luxury but Michael Lesley's recreation of the voices for TJ Klune's unique characters in this series easily and effortlessly took me back to Verania with all it's magic and intrigue. 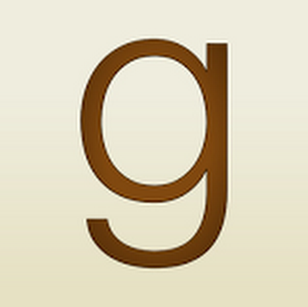 While I've listened to roughly 160+ audiobooks and I've become far more comfortable with what does or doesn't work for me in this format. I still don't profess myself to be any kind of an expert on anything other than what I like or love as the case might be in this instance. I truly couldn't imagine anyone else capturing the feel of this story better than Mr. Lesley has. When I first listened to 'The Lightening Struck Heart' at the encouragement of a friend...she was so insistent that she actually went to the extent of gifting the audiobook to me...thank heavens for persistent friends or I might still be missing out on this treasure. I was so incredibly surprised by how much I enjoyed the audiobook...I'd already read the book so I knew I'd like the story but Michael Lesley's narration took this story to a whole new level for me so needless to say I read 'A Destiny of Dragons' and loved it and then I heard from a certain persistent friend that once again Michael Lesley was going to be the narrator...so needless to say...SIGN ME UP! I was so on board to listen to the audiobook. What I truly wasn't expecting was that I would enjoy this one even more than I did 'TLSH" on audio...I truly didn't think it was possible. Apparently...I was wrong because this one wasn't as good for me the audiobook was even better. 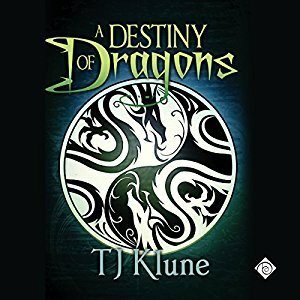 'A Destiny of Dragons' is a more than solid follow-up to 'The Lightening Struck Heart' and for anyone who's a fan of TJ Klune and audiobooks...this one's a must. I know the third book in this series has been released and I am very unashamedly waiting for the audio edition of it because once again it's going to be narrated by Michael Lesley so I have zero doubt that once again it's going to be fan-freakin-tastic! An audio book of 'A Destiny of Dragons' was graciously provided by the publisher in exchange for an honest review. 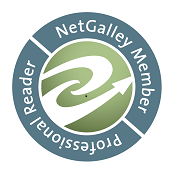 Buylinks are provided as a courtesy and do not constitute an endorsement of or affiliation with this book, autho or booksellers listed.